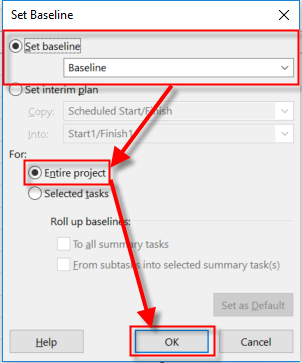 %Complete, %Work Complete, and Project without Resources with MS PROJECT 2016! 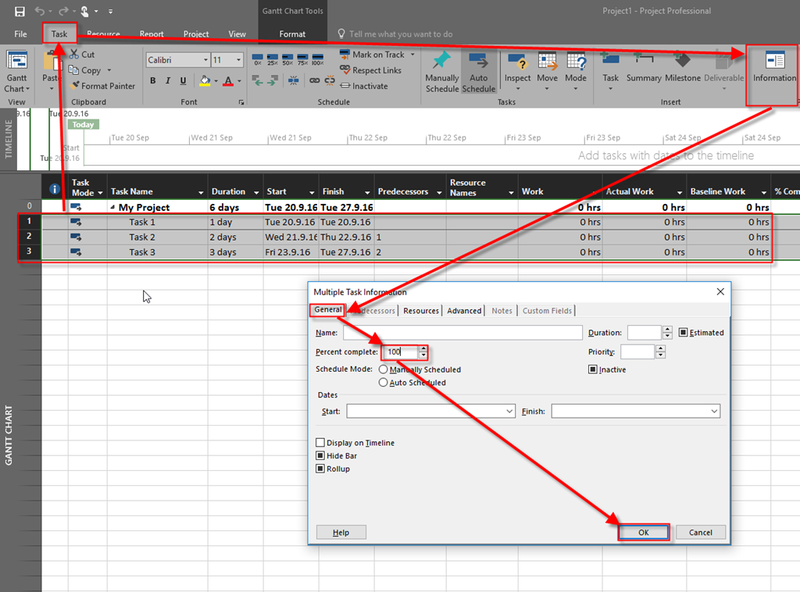 “Please clarify the following: I have created a Sample project in MS Project 2013, with tasks and assigned duration with required predecessors. I have base lined the plan and started tracking the progress. I see both the % Complete field & % Work Complete as 100% for all the completed tasks. My question is why the % Work complete is being shown as 100% even though the work /baseline work being zero and the actual work also being zero. This is a basic thing in any version of MS PROJECT. I will show you a simple example an I will explain why this is not a bug at all. I’ll use MS PROJECT 2016! Anyway in both cases (with work greater than zero, or with work equal zero), %Work Completed is 100% when %Completed is also 100%! This entry was posted in Microsoft Project 2013, MS PROJECT 2010, MS PROJECT 2016, PMI, PRoject Management and tagged Micorosft Project 2016, Micorosft Project 2016 - Baseline, Micorosft Project 2016 - Resources, Micorosft Project 2016 - Schedule, Micorosft Project 2016 - Tasks. Bookmark the permalink.